Happy Friday true-believers! It's finally here - The Amazing Spider-Man 2 hits theaters this weekend with the entire gang back in action! 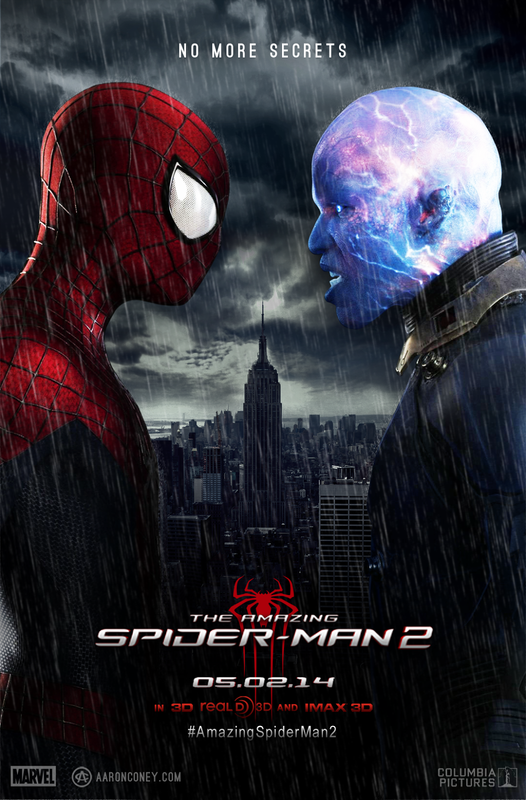 This time around, Peter Parker (Andrew Garfield) goes up against some old favorites from his rogues gallery - Electro (Jamie Foxx), The Rhino (Paul Giamatti), and the Green Goblin (Dane DeHaan) all while searching out the answers to his mysterious origin! Check out the trailer! Yes, the web head's best girls, Gwen Stacy (Emma Stone) and Aunt May (Sally Field) are back as well to round out the cast along with Norman Osborn (Chris Cooper), who is still shrouded in secrecy as the man at the top pulling more strings than Spidey! As always, keep your eyes peeled for a cameo from Spider-Man creator, Stan Lee as well! The villains for this feature stem back from the good old days of Spidey-lore as shown in the following versions from the classic Ralph Baskshi toons! Yes, the new versions have been 'updated', but it's always fun to see the humble beginnings of these classic costumed crazies! The Amazing Spider-Man 2 starts this weekend at a theater near you - and just in time for FREE COMIC BOOK DAY at your local participating comic book store! So swing on over to your local theater and then your favorite comic book shop THIS WEEKEND!! !